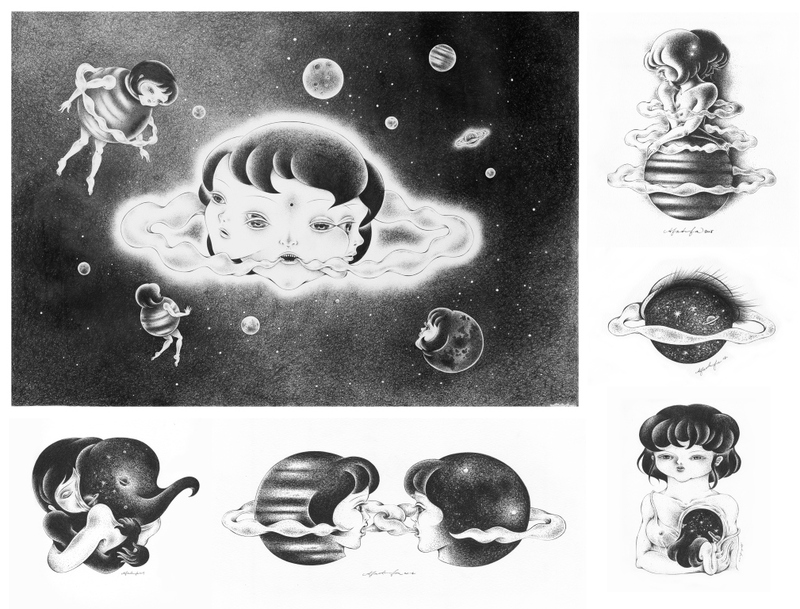 Afa, also known as Afa Annfa, is a professional illustrator. Her works can be found in branding campaigns, animation features, music videos, smartphone apps, books, magazines, on outdoor billboards, indoor lightboxes, and building murals. Shuffling between works and projects, Afa still finds it beneficial and necessary to spend some time alone in order to pursue her passion in capturing and expressing different states of being and mind through illustration and painting. 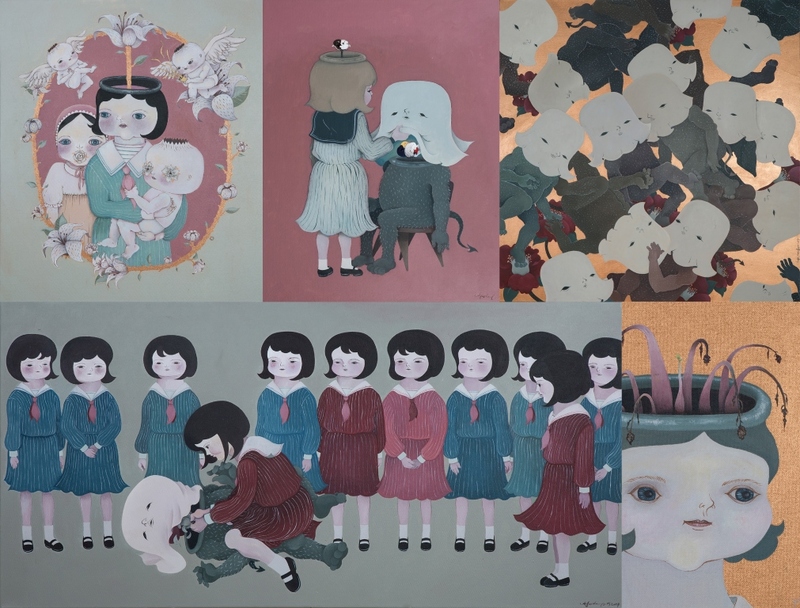 Armed with pencils, paint brushes, ballpoint pens, or vintage ball-jointed dolls, which she customized, Afa has created a series of sentimental worlds in which viewers are gestured towards the intricate human emotions and relationships which resonate with all of us in our world. 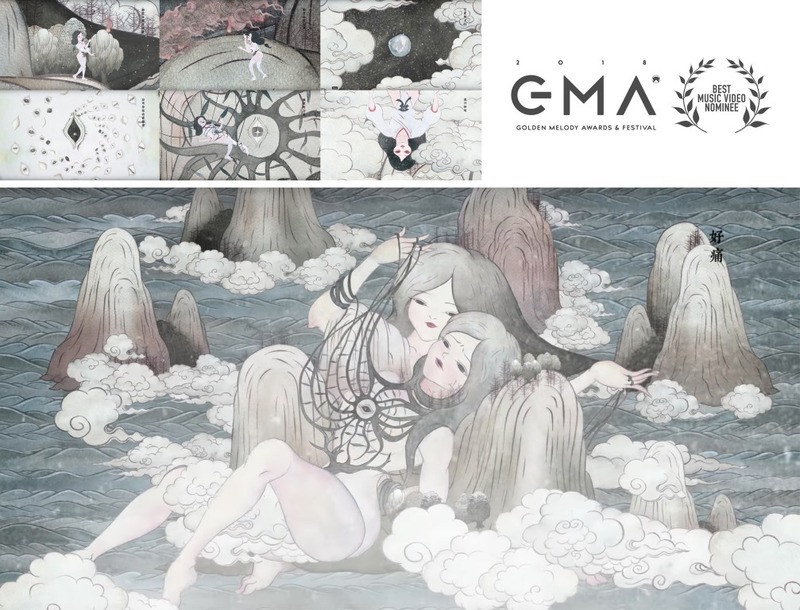 Perhaps it is this sort of resonance found in both worlds that the young illustrator and designer is able to strike a delicate balance between commercial success and personal satisfaction in her award-winning creations. 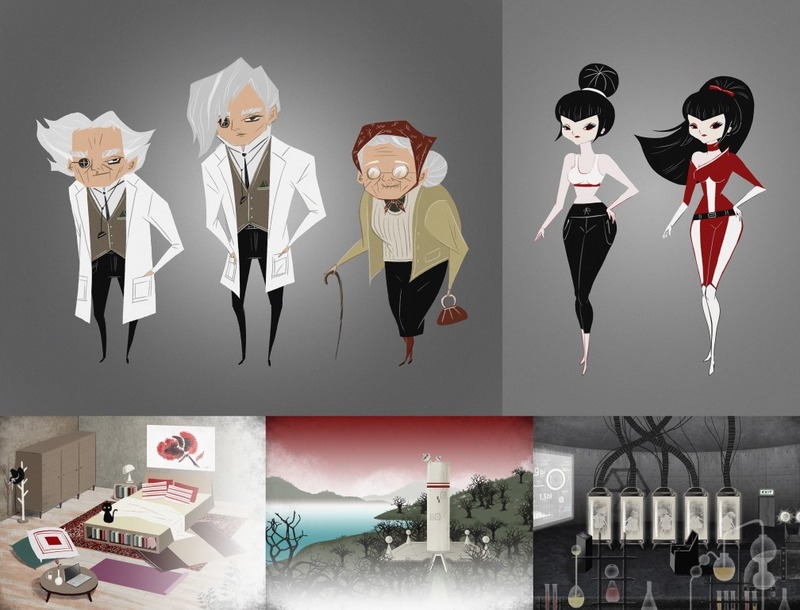 For instance, in branding, the characters created by Afa also form the backbone of an animation video promoting a major Japanese cosmetic brand. 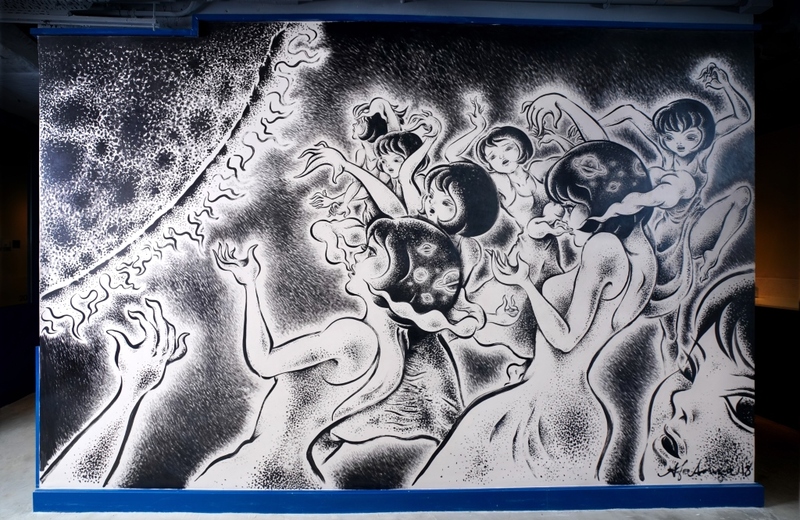 For Taiwanese songwriter and singer Waa Wei’s music video for the song “Yuki Onna.” On Eaton Hotel’s first floor, Afa’s mural painting now greets users of the co-working space as well as art and cultural hub. It is also where she met like-minded artists working for the same project and sparked her interest in collaborating with them. “I found out that it is equally important to work with other people,” she says in reflection, as she used to spend a lot of time drawing in solitude. 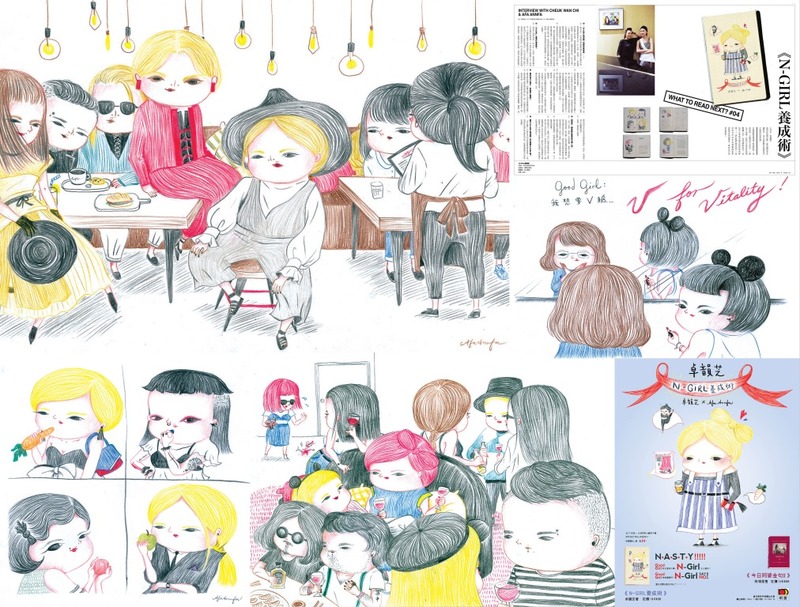 In her future plan, she hopes to work in an animation studio, either in Tokyo or London. In particular, Afa wants to hone her skills in character and scenic designs, as well as storytelling. She sees lots of opportunities in stop-motion animation production in Hong Kong, and aims to create her own ball-jointed dolls that will win over artists, lay people, and clients. 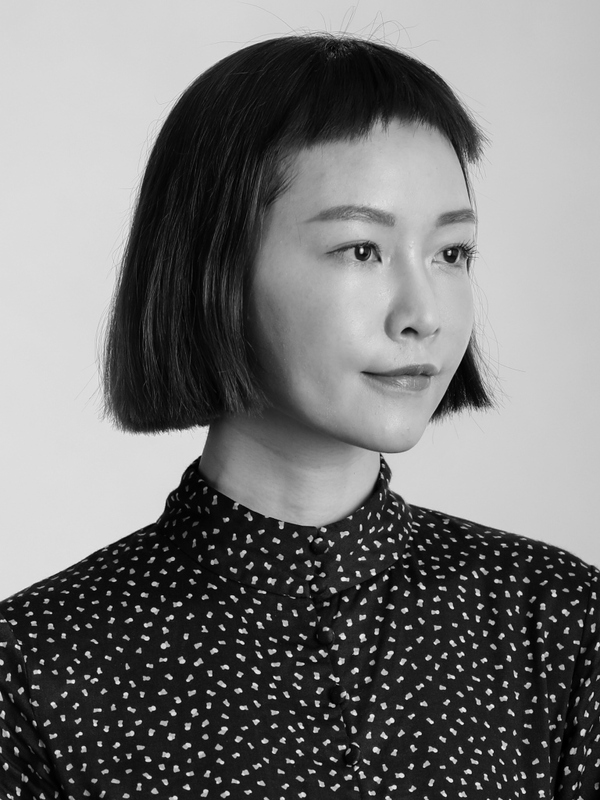 Afa graduated from the Hong Kong Polytechnic University’s School of Design in 2005.